These are great dry rubs that add flavor to your meats with no calories. Some of the ingredients can only be bought as seeds. Use a small coffee grinder or a mortar & pestle to make the seed a powder. Directions: Mix ingredients for desired rub. 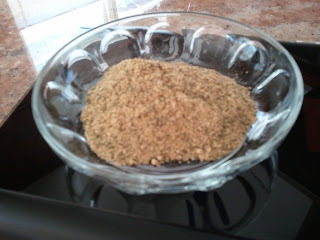 Lightly sprinkle rub mixture on both sides of your meat and let sit for 15 minutes before grilling. Put the remaining amount of rub in a Ziploc and label it to be easily identified for later use.